A previous post reviewed the recent U.S. State Department report on Cuban religious freedom while another post critiqued the views on that subject from the U.S. Commission on International Religious Freedom. The following are comments prompted by three recent articles in Granma, Cuba’s newspaper, about religion in Cuba that are consistent with my experiences on the island and my conclusion that Cuba enjoys significant religious freedom and does not deserve to be criticized on this subject by the U.S. The first article collects observations on that subject from Cuban religious leaders; the second reviews the recent meeting in Cuba of the Latin American Council of Churches; and the third reports on a visit to Cuba by the President of the World Communion of Reformed Churches. The first article from May 9th asserts that “many specialists have noted the increase of religious expression in Cuban public life. The adoption into the Constitution of the secular nature of the state in 1992 facilitated religious freedoms, and two Popes and other eminent foreign religious leaders have since visited the country.” The article supported this assertion with interviews of several Cuban religious leaders. Currently, the Cuban Jewish Community has approximately 1,500 members. There are five synagogues in Cuba, three in Havana, one in Santiago de Cuba and another in Camagüey.”Although it is a small community in terms of numbers, it is strong in terms of what it does and the number of projects and programs in existence,” Prinstein confirms. One challenge for Cuban Jews is adhering to dietary practices, given that they cannot eat pork, shellfish, scale-less fish, or web-footed poultry. They are assisted in respecting these regulations with allowances made for the only private butcher’s store in the country. “It was established in 1906, and was respected after the triumph of the Revolution,” notes Prinstein. A New church in Cuba. The Moravian Church began to function in Cuba at the end of the 1990’s. 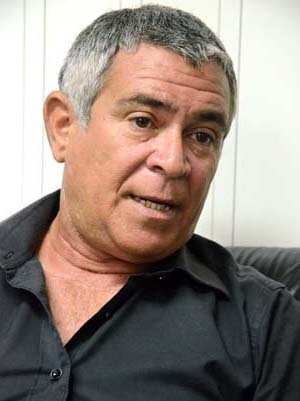 “We started out as a small group meeting together in a house, until we joined the Cuban Council of Churches in 2003 as fraternal associates,” said Armando Rusindo, one of its leaders, and in January 2013 it was registered with the government as an independent entity. Cuban Islamic League. 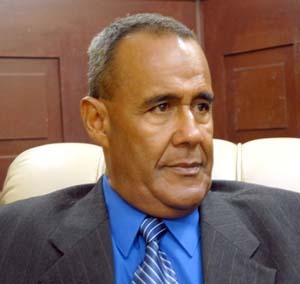 There have always been Muslims in Cuba, but for 500 years of history, there was no Muslim religious institution on the island, states Pedro Lazo, president of the Cuban Islamic League, which was officially established in 2007, although there were group meetings prior to that year. “We have been practicing since the 1990’s and we have never had a problem,” he affirmed. The Martin Luther King Memorial Center. The Center, which I have visited, is a Christian-inspired ecumenical institution that was established in Havana in 1987. 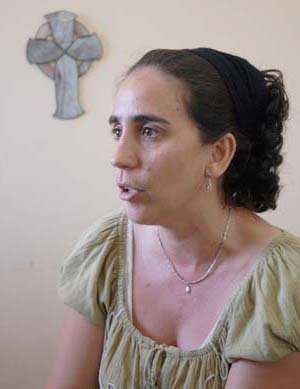 Kirenia Criado Pérez, the director of the Center’s Reflection and Socio-Theological Training Program, believes that it “has helped break down a polarity that still exists in the minds of some people, that Cuban society is one thing and the Church another.” In her opinion, the Center’s social influence does not just come from Biblical, theological and pastoral training, but also from educational projects guided by the ideas of the Brazilian educator, Paulo Freire. The Center also works in the area of solidarity, linked to Latin American movements, and is responsible for the Caminos publishing house. Moreover, it has been involved in building homes near the Center and elsewhere, especially after the destruction of Hurricane Sandy in October 2012. 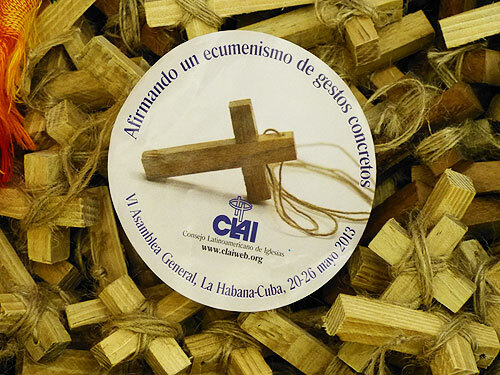 In early May Cuba hosted the General Assembly of the Latin American Council of Churches, which was founded in 1982 and which comprises 188 Protestant churches and denominations in every country of the region. Its objectives are promoting the unity of God’s people as part of the concept of mission and service to the world; stimulating member churches to unify diakonia (the call to serve the poor) and evangelization; strengthening capacity in advocacy and public, social and political participation of the churches and the Council; promoting reflection and theological dialogue; and training leadership on social issues of development and pastoral work. The Assembly was attended by 300 religious representatives from 20 Latin American and Caribbean countries. Other participants in the meeting described its taking place in Cuba as a concrete gesture of ecumenicalism, the maxim which guided debates on the current regional situation and challenges for the future, particularly during a historic moment in Latin America. Federico Pagura, Emeritus Bishop of the Argentine Methodist Church, described the choice of Cuba for this meeting as very relevant, adding that the Assembly was a response to actions of the U.S. to prevent its happening, and blocking Cuba’s free relations with the continent and the rest of the world. The Assembly concluded with the adoption of the Havana Consensus that acknowledged that Latin America and the Caribbean had many people (33%) living in poverty and(12.5%) in extreme poverty, a high maternal mortality rate, violence against women, including human trafficking, discrimination against indigenous and African-descendant people and a high number of young people. Another concluding document of the Assembly was the Pastoral Letter of Havana voiced similar concerns. It also deplored the U.S. “blockade” against Cuba, the U.S. designation of Cuba as a “State Sponsor of Terrorism” and the U.S. detention and torture of prisoners at Guantanamo Bay. In addition, the Letter supported the self-determination of the people of Porto Rico and expressed solidarity with the cause of the families of the “Cuban Five” still in U.S. prisons. 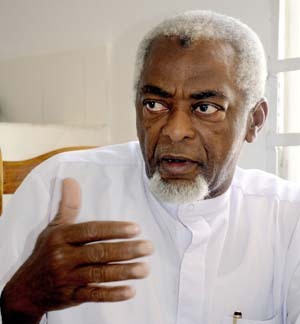 In February Jerry Pillay, the President of the World Communion of Reformed Churches, spent five days visiting the Cuban Presbyterian and Reformed Church. Dreaming a Different World Together that commented on the Accra Confession (2010). 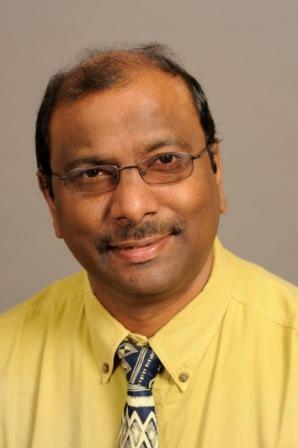 Pillay, the current President of the World Communion, is due to be its General Secretary next year. 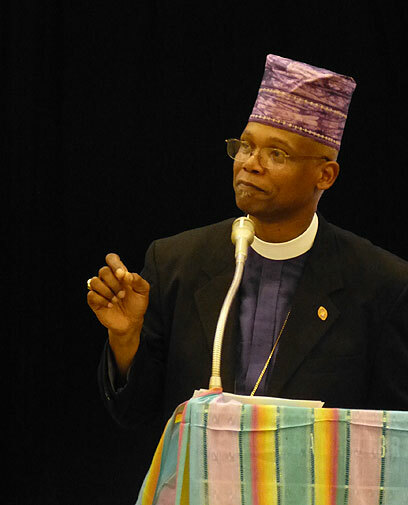 He is an ordained pastor in the Uniting Presbyterian Church in Southern Africa and serves as its General Secretary. He also is on the boards of the South African Council of Churches and the National Religious Leaders Forum in South Africa. He holds degrees from the University of Durban-Westville and the University of Cape Town in South Africa. The criticisms of U.S. policies by the Latin American Council of Churches and by the leader of the World Communion, in my opinion, should not be seen as the expressions of anti-U.S. organizations, but rather as expressions of wide-spread opposition in Latin America and the rest of the world to these U.S. policies. As a U.S. citizen I share these opinions.